How has diversity affected you? President Obama makes many points in this speech. Take a few minutes and write down the important points you think should be discussed. Journals are easy points to get, that are meant to help you in this class. If you do them, or attempt them, you earn the points. The first two journals asks that you answer some questions. We will continue to build on skills and incorporate them into the journals. Starting next week, you will be writing summaries of the readings. 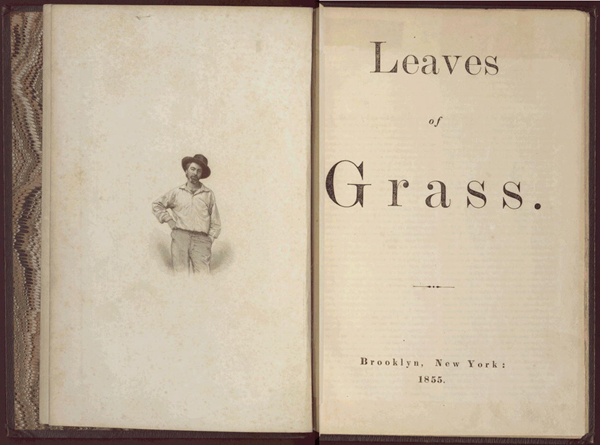 Leaves of Grass is Walt Whitman’s book of poetry, first published in 1855. He published six editions during his lifetime. He revised, expanded, and tinkered with the book to reflect the changes taking place in American culture and himself. The Americans of all nations at any time upon the earth have probably the fullest poetical nature. The United States themselves are essentially the greatest poem (1009). Walt Whitman is the great visionary. He was the first person to say America is the greatest nation. Here is not merely a nation but a teeming nation of nations (1010). What makes us great is that we are made up of immigrants. We are a growing and evolving nation. This is what makes us the greatest nation.
. . . but the genius of the United States is not best or most in its executives or legislatures, not in its ambassadors or authors or colleges or churches or parlors, nor even in its newspapers or inventors . . . but always most in the common people (1010). He continues and argues that he could only write this because he is an American. Chapter 1 argues that good academic writing responds to what others are saying. What “They Say” is important to include in academic writing and is one way we can include the conversation when we write. The chapter includes templates for introducing standard views, implied or assumed and ongoing debates. Why do you think they start out the textbook with this chapter? Why is it important to start with “They Say”?